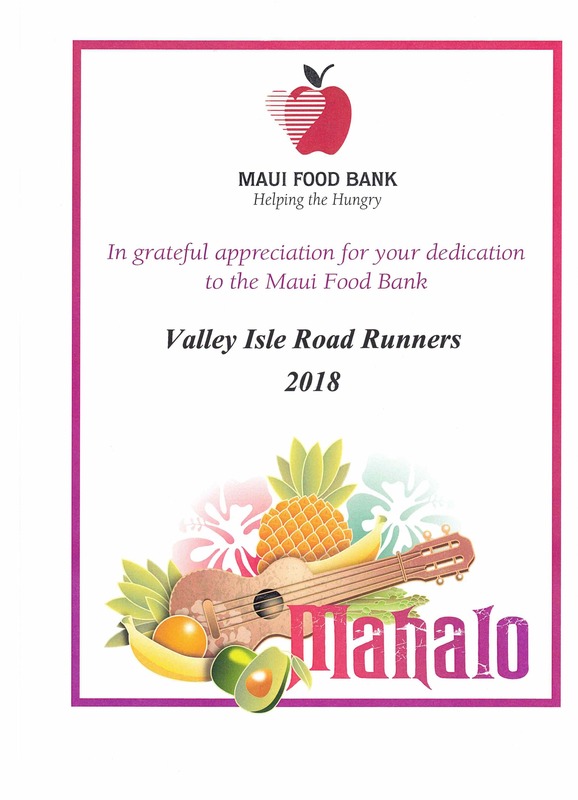 Our mission at Valley Isle Road Runners (VIRR) is to promote running and support a vibrant running community in Maui County. The VIRR is a nonprofit organization and administrated by an elected volunteer Board of Directors. The VIRR was founded in 1970 and has grown to over 700 members. The Valley Isle Road Runners Association represents Hawaii running at its best. We have been both a pioneer and pacesetter, serving the running community of Maui for over 38 years. The Maui Marathon, Iao Valley 10k, Na Holo Wahine, Haleakala Run to the Sun, Hana Relays, Beat the Heat, Harbor to Harbor, and the Turkey Trot are a few of our races. From the beginning runner or walker to the elite competitor, the VIRR addresses the varied talents and interests of its members in a year-round program, including an active Youth Program. We are involved in over 15 events each year, including races for kids under 1 mile to 26 miles. All proceeds from races, sponsorships, merchandise sales, and membership fees are used to support and develop the programs and events that the VIRR produces throughout the year. We have General meetings once a year to discuss VIRR issues and occasional social gatherings. Our website has race dates, applications, results, and contacts. Our club By Laws are available. We encourage VIRR members to get involved. There are many opportunities to do so! We are always looking for more enthusiastic, dedicated, active volunteers to serve on the board! Please contact any of the current board members, leave us an president@virr.com to find out how you can help! We look forward to seeing you out there, whether it’s on the road or at the races.